This was one of those books I thought would be perfect for me. 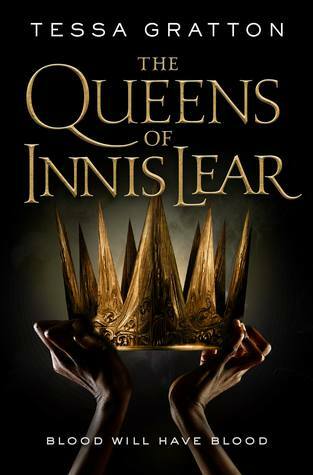 A very feminine retelling of King Lear with the focus put on the daughters and a huge magic system for me to dig my teeth into. But, alas, I wasn’t a fan. I think the thing that I couldn’t get over was how much of a retelling it felt like. But, it was a nearly 600-page retelling of a relatively short play. I nearly got to page 400 before I decided I couldn’t read any more of it. Which is a huge shame because I really like Gratton’s writing and world building. But, it just felt like a major character study of everyone but King Lear — which is fine because I’m all for the minor characters that Shakespeare ignored, especially female characters, getting their chance to shine. Yet there was no real plot outside that of the original play and building upon characters. That and the magical system was iffy. I kind of understood it? But then, I don’t think I did. One of the things that I find most annoying about magic systems in any book is that there’s no mythology on the page. It’s just there. No explanation. Nothing. I know it can add to the mystery for a lot of people, but it’s a personal pet peeve for me. However, as I critique the story, I want to say this: I am going to try this book again. I don’t know if reading huge fantasies in a buddy read style works for me because I end up disliking them, even though objectively they were epic reads. So, I will come back to this despite my critiques of the plot (or lack thereof) and magic system. I fully intend to come back to it one day when I’m a little more removed. I am unsure about this author.. Hence I have never got her books. And that’s such a shame because I love King Lear as a play and it’s such an interesting take. Just way too long.